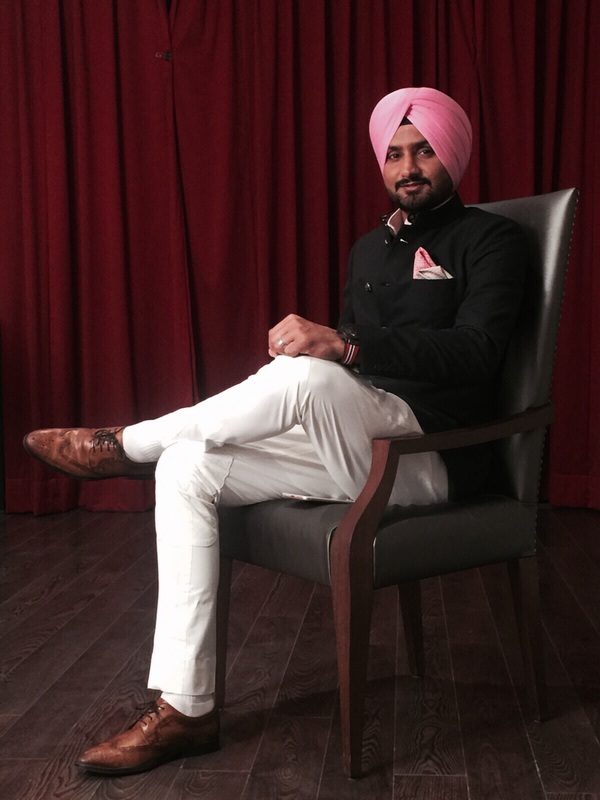 One of the best menswear designers in the country Raghavendra Rathore dresses cricketer Harbhajan Singh for his Sunday reception in New Delhi after his wedding to actress Geeta Basra in Jalandhar. 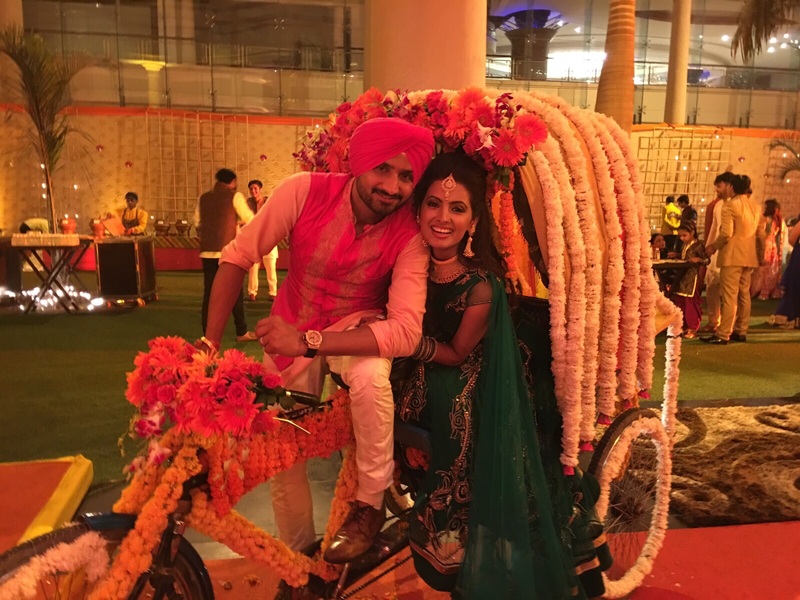 The sardar looks daooer in a black bandgala and pink turban teamed with white jodhpuri pants while the bride looks beautiful in a green outfit. The much in lovecouple who have been dating for sometime now look radiant as they became man and wife with the blessings of family and friends.